moitorpsychoo, ilouis_07, upas and 3 Guests are viewing this topic. The gmk rendering, as always, is misleading.... While on my phone I thought that this was about a black on white addon. I would modify the title to include the "classic beige" or "OG beige" wording. It will work with basically any beige set you've seen (GMK, OG Cherry, etc.). It's easier to say "if it isn't L9 alphas, then it won't be compatible". What else do you need (aside from learning to read the main post)? bro you got any ridges on your brane? removed post because i don't feel like ****ting up an actual nice interest check. You guys both need to put each other on ignore. I don't know what has happened between the two of you, but please keep it out of other people's feeds and public threads. If you need help with any of this, I am always available via PM. Thought I'll give a post 24 hour update. I have no idea if it's a lot, but there were 120 responses. 81% would like the R2 1.5u pipe key with ₩, so I will get it added to the kit. I'll also ask about the possibilities of added a R1 1u version too. 61% said no to the punctuation and numbers. I'm fine with that - It would raise the kit price probably by 80%, and open it up to not that many more people (who knows how many of the 61% would join if they were added too). I'll start speaking to vendors too. If anyone has recommendations, let me know! I will definitely be looking for US, EU, and Asia. Interesting but still thinking about join or not. No punctuation and numbers is kinda a bummer to me I would really like to see them added. 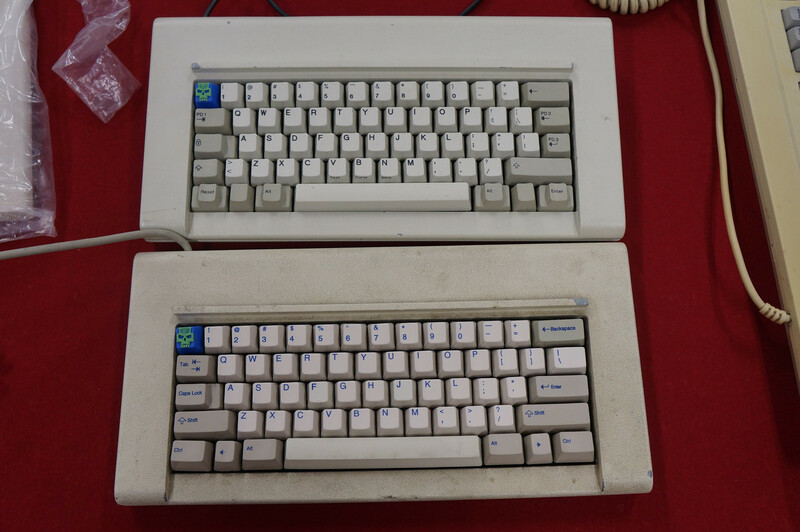 If I purchase a UD_40 and put GMK 9009 keycaps on it, then it won't really be an ode to Koreans without this kit. The ability to order a full set of alphas OR just the small kit would be AWESOME because then I could do crazy things like combine with GMK-200 for full keebs without any waste. I like that this is alphas only. 쫀닷의 말씀 맞는데 저는 문장부호키캡도 있으면 좋다고생각합니다. Being beige my favorite colorway, I just cannot afford to let this buy to pass. Interested! One, possibly two kits. To be completely honest, I don't want to invest any money into this IC. I think for custom colors & combinations it makes sense, but everyone knows the color, and everyone can look at Burgundy for the actual doubleshots. Response has been very strong so I don't think they're needed anyway. Samples are not likely to be needed. It is a reference color already produced by GMK. And it is a guaranteed color because it is the color that everyone saw directly. They already have the moulds for these. They had them made for Burgundy R2. If it's a mold they think is useful to have, they pay for it (I think) and make it free to use for anyone. Not sure how I missed that information as I'm sure it was explicitly stated above. Thats good news though, with any luck this set will be available at a competitive price and may help pave the way for more small sublegend kits in the future. looking great I'll prob pick one up depending on price 화이팅! 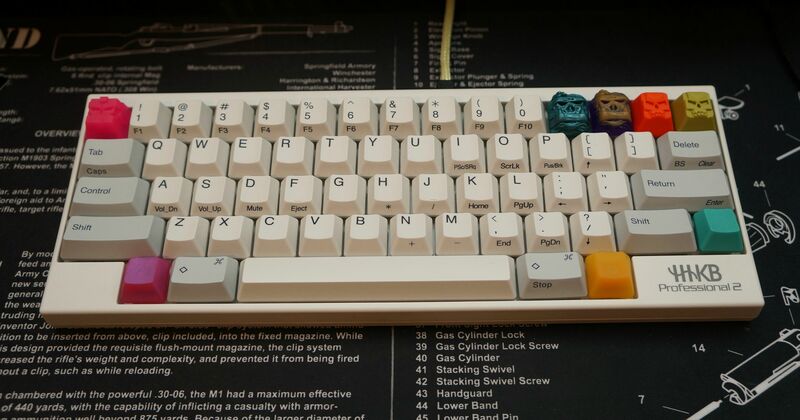 KBDFans would be a good choice as supporting vendor for the kit. It's a good idea to use big vendors, because you can save on shipping buying more items that you need, combining orders. This is the final kit. Would recommend DailyClack for at least Oceania, not sure how easy it is for him to ship to the rest of Asia though. For Korea, I recommend hitting up cocobrais, who ran the GMK Burgundy R1 and R2 buys and also could represent this kit on kbdlab. Kindly give us the price estimate, at least for the known proxy. Page created in 0.108 seconds with 56 queries.